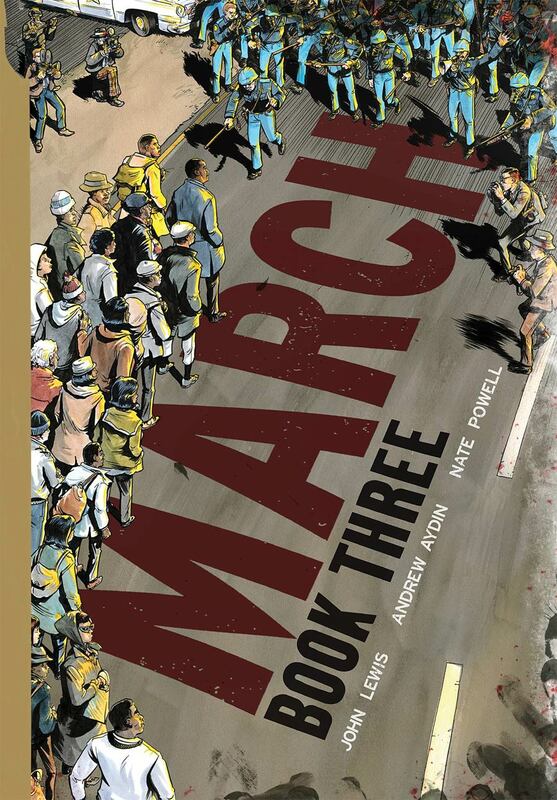 With co-writer Andrew Aydin and artist extraordinaire Nate Powell, Lewis concludes his trilogy during one of the most fraught periods of American history. The young activist’s vision of a better future is threatened by white supremacists, the assassination of President Kennedy, and prohibitive voting restrictions across the country. However, Lewis’s commitment to non-violent revolution sets him on a path that will help change the face of a country. Those who watched the Lewis-led gun control sit-in on the House floor this June know that his story is far from over. However, for those interested in how that story began – and how we might follow his example in our own lives – this is essential reading. Latvian publisher kuš! have been bringing us wonderful digest-sized collections and minicomics from international creators for a number of years now and their publications are always worth keeping an eager eye out for. 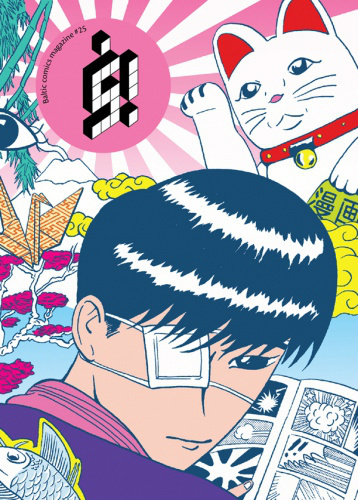 Their anthology series š! 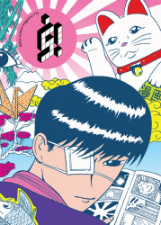 provides themed short stories that are always diverse and eclectic in presentation with this latest issue giving us 164 pages on the topic of ‘Gaijin Mangaka’. Contributors this time around include co-editor Berliac (from Argentina) as well as names like Dilraj Mann (UK), Hetamoé (Portugal), Mickey Zacchilli (USA), Vincenzo Filosa (Italy) and xuh (Poland) among many others. The book also has an introduction from no less a leading light in comics commentary than Paul Gravett. You can order a copy online here. Everyone’s favorite 1950s housewife/deadly assassin is back with a brand new outlook on life… and death. No longer working for the agency that double-crossed her, Josie’s set up on her own as an independent contract killer. Meanwhile her family is also making a fresh start in their new home in Cocoa Beach, Florida. But this doesn’t mean life isn’t filled with the same old challenges as Josie continues her creative approach to taking out targets while juggling her household duties. On top of that, her mother-in-law is determined to break up her marriage. How will Josie manage it all? 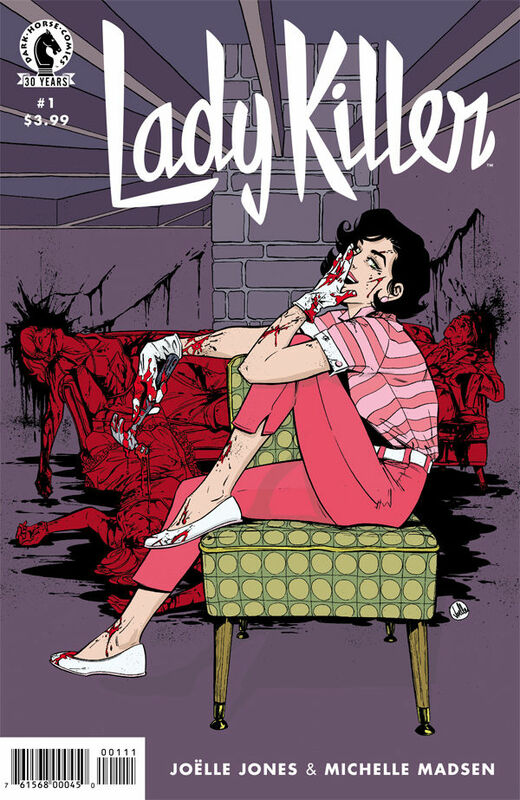 Following up the Eisner-nominated first series (which won the Broken Frontier Award for Best Limited Series), this second volume looks to build upon the world of this very stylized period piece that mixes cathartic social critique with bloody mystery thrillers. Paul B. Rainey is a UK small press legend, having been active on the scene for more years than he would probably be happy with me mentioning here! His print comics like Thunder Brother: Soap Division and his notable online presence have ensured his status as a self-publishing national treasure. 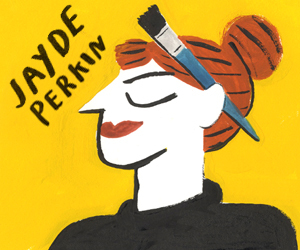 Last year his long-running series There’s No Time Like the Present was collected by Escape Books and we were delighted here at Broken Frontier when he contributed to our first Small Press Yearbook, published a couple of months back. Tales to Diminish is the second compilation of strips to come from him this year and includes the titular feature plus Man V. Van, Peter the Slow Eater and much more. 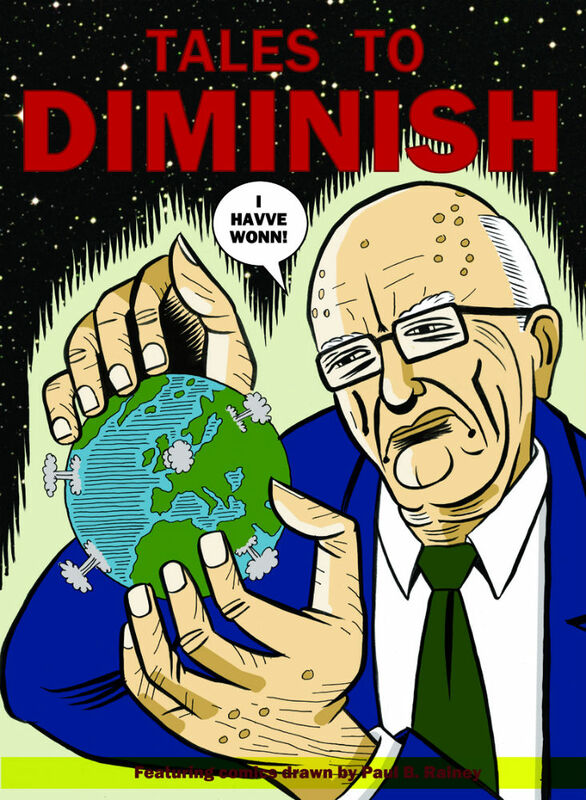 You can be assured that the cutting humour and expert comedy pacing of his witty cartooning will once again be at the forefront in another welcome Rainey-eye view of the world. You can order a copy online here. As citizens of the United States or Europe, both being regions replete with thriving communities of comics and graphic novel creators, it’s easy to take for granted the freedom to ply one’s trade as a creator. However, in other parts of the world this career choice comes with a whole different set of challenges, especially when one hails from a country where art clashes with the agenda of the State. 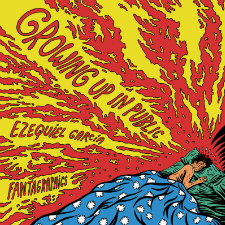 This week, Fantagraphics releases an excellent English translation of Argentinian writer/artist Ezequiel Garcia’s graphic novel Growing Up in Public, a personal memoir of his struggles to adjust to life in his 30s while trying to be a successful artist amidst the social upheaval of his hometown of Buenos Aires. Narratively penetrating and artistically exciting, Garcia’s book takes readers into a world where fantasy and reality collide while the artist tries to keep a firm grasp on his inspiration to create amid the poverty, civil unrest, and cultural malaise of his environment. Garcia’s work reveals his passion for art, architecture, rock music, and the culture from which he comes while at the same time telling a unique tale of the bigger picture of Argentinian society – hallmarks of a memoir with long-lasting appeal for readers interested in comics that reach beyond the norm. 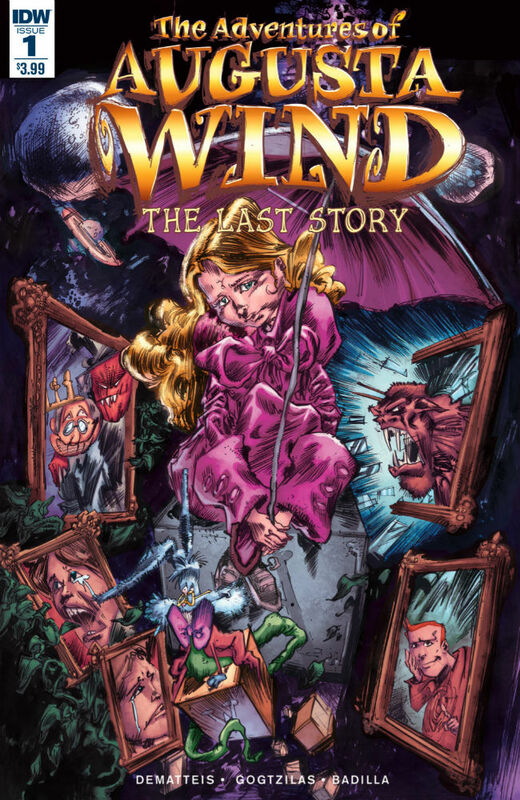 It’s been a few years since we last visited the wonderfully skewed world of Augusta Wind and company, as brought to us by that true master storyteller of the medium J.M. DeMatteis and the richly fertile imagination of star artist Vassilis Gogtzilas. Augusta is back via IDW this Wednesday with a second volume of adventures ominously subtitled ‘The Last Story’. This time around a malevolent presence is determined to untell every story ever told and Augusta, Mr. Snabbit, the Omniphant and Upton Snuff are the Storiverse’s last hope against the threat of the Story Killer. This looks set to be another cracking meta fantasy from DeMatteis and Gogtzilas whose partnership on the first volume was so creatively in tune it was practically symbiotic. Ed Brubaker and Sean Phillips are like a modern-day Rodgers and Hammerstein of comic book noir – their exceptional creations often become benchmarks of the genre. This week they’re back once again with a new series for Image Comics called Kill Or Be Killed that certainly promises to be on par with their tried-and-true classics like Criminal, The Fade Out and Fatale. 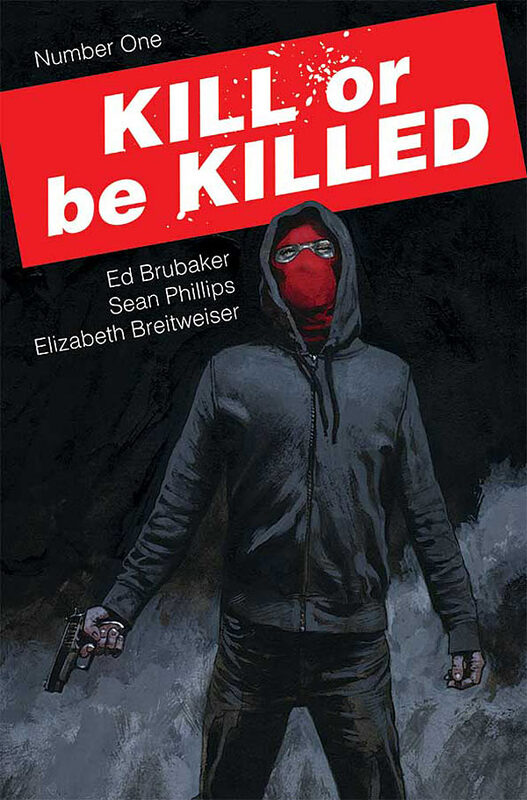 While KOBK is definitely a crime noir series, it stands to break new ground for Brubaker and Phillips: a twenty-something NYU grad student is somehow coerced into committing one murder per month on a victim of his own choosing, and he opts to kill people who are causing harm to society at large. Thus, the series will explore the issues of vigilantism and the conundrum of morality produced when a good person does bad things to bad people. Brubaker has fought hard to distance KOBK from comparisons to The Punisher, although there are obviously some similarities at the core of both series. However, this creative team are masters of weaving together fresh stories with noir/pulp-crime overtones, resulting in something both new and incredibly engaging. There’s no doubt that this highly-anticipated series will be quite killer indeed! A few years back Dark Horse reprinted Joe Kubert’s DC Comics 1970s Tarzan run over a number of handsome hardcover editions. 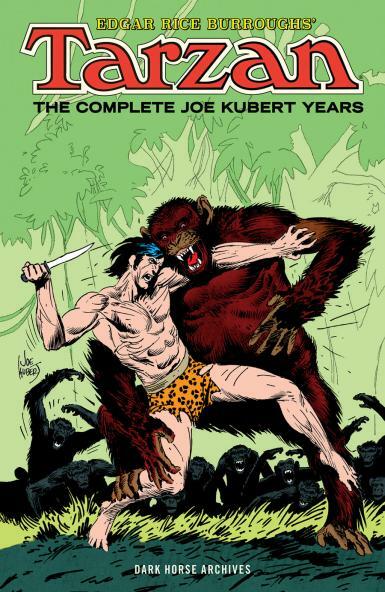 For those who missed those now out of print collections this week sees an affordable trade paperback version compiling all of the master draughtsman’s work on the Lord of the Jungle in one affordable package. Containing his stories from Tarzan #207-235, these issues represent one of the true greats of the medium at the top of his game. The book also contains supplementary material and essays bringing layered context to his interpretation of this iconic character. At over 600 pages for under $30.00 this is an undeniable must-buy item this coming Wednesday.